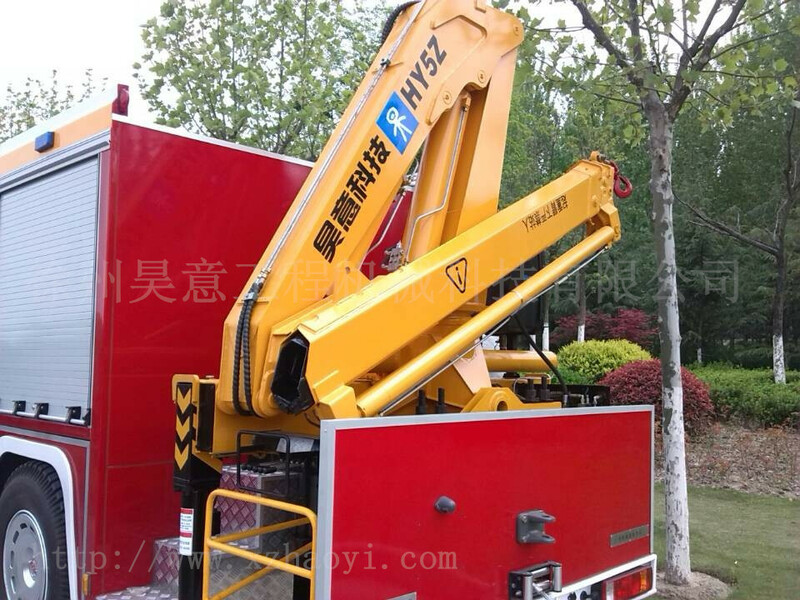 Xuzhou Haoyi Construction Machinery Technology Co., Ltd is located in the engineering machinery hub-Xuzhou City, Jiangsu province,P.R.China. HaoYi is a professional high-tech company specializing in R & D,manufacture and sales of jib crane, lifting equipment, dry mortar equipment, fire rescue equipment and auto control system etc, provide a variety of solutions to our valued customers. Our company has developed a series of control system for truck mounted crane,(self propelled) aerial working platform vehicle ,rescue crane, high pressure water spray fire vehicle,aerial platform fire vehicle, marine crane, track crane and electro-hydraulic proportional wired (wireless)control system and other products, all above products have been widely applied in logistics, fire fighting equipment, railway track, petrochemical industry, engineering machinery, shipbuilding,municipal public works, park maintenance and other fields. The developed products successfully combined machinery,electron and hydraulic pressure into one perfect integral unit. and its high performance,reliable quality, convenient operation have won the trust & satisfaction of all customers both from home and abroad.